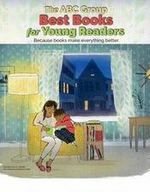 The 2017 ABC Best Books for Young Readers catalog will be arriving in stores later this month. Members of the ABC Children’s Group at ABA will automatically receive 250 free catalogs with no imprinting, and ABA stores that have opted to receive the Children’s White Box mailing will automatically receive 20 free catalogs with no imprinting. Booksellers also have the option to supplement their supplies with extra stock by placing an order via the 2017 online order form, while supplies last. Additional catalogs are packaged in quantities of 200 per carton. The per-carton price is $10 for members of the ABC Children’s Group and $14 for all other ABA member stores; shipping is included. Questions about catalog orders can be addressed to ABC Group Manager Gen de Botton. Catalog titles and bibliographic information are now available on BookWeb in a downloadable Excel spreadsheet. This year’s catalog cover features an illustration from Windows, written by Julia Denos and illustrated by E.B. Goodale, to be published by Candlewick Press this month. 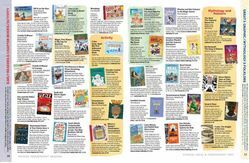 The full-color, 20-page consumer circular includes more than 260 frontlist and backlist titles for children and teens. Because the catalog carries no fourth-quarter/holiday branding, it is appropriate for use throughout the year.